An attorney for a biker arrested in the May 17 Twin Peaks shootout complained that the McLennan County District Attorney’s Office keeps postponing an examining trial because it has no case against his client and charged that a prosecutor lied to him. Conrad Beyer, a San Antonio attorney representing Bill Jason McRee, twice has scheduled examining trials in Waco’s 19th State District Court and both hearings have been postponed, including one set for Friday. While a prosecutor and judge say Beyer agreed to the second postponement, Beyer filed an objection Friday alleging Assistant District Attorney Amanda Dillon misled him about resetting the examining trial on Friday and failed to file a written motion asking for a continuance. “They are trying to move it back and back and back and try to push the case to a grand jury and are trying to keep from having to put together a case they don’t have,” Beyer said. After the second continuance, which Judge Ralph Strother said Beyer agreed to Thursday in a telephone conference with Dillon, Strother set McRee’s examining trial for Aug. 28. Beyer said Friday he has waited long enough. He removed the request for an examining trial from 19th State District Court and filed it in Waco Municipal Court. No date has been set for that examining trial, which gives defendants a forum to question whether there is sufficient probable cause to support their arrests and a chance to get an early view of the state’s evidence. Dillon bristled when told Beyer called her a liar. She huddled with McLennan County District Attorney Abel Reyna and provided a written response to Beyer’s accusations. Reyna declined comment about the filed objection. Beyer’s objection claims that Dillon improperly talked to Strother without him being present to reset the first scheduled examining trial from July 31 to Friday. He said Dillon told him she talked to the judge and that Beyer was supposed to get an email that the hearing had been rescheduled. Beyer said he was not informed of the continuance and drove from San Antonio to Waco on July 31 expecting to have the examining trial. Dillon said she told Beyer that she would call “the court” to move the date. Strother said Dillon did not speak to him but went through his court staff to get the setting changed. Dillon said Friday’s examining trial had to be postponed because of the recent death of a Department of Public Safety trooper’s mother. 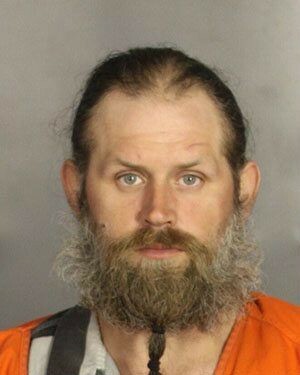 Beyer said the trooper interviewed McRee, a 38-year-old member of the Cossacks biker group who lives in Seagoville, after his arrest but he isn’t sure what the trooper was being called to testify about. Dillon said Beyer agreed to the telephone conference with the judge and never “raised any issues that are now contained” in his objections filed Friday. “Furthermore, defense counsel agreed to the current setting of August 28th, 2015. The state stands ready to proceed on the defendant’s examining trial on the date agreed upon by both parties and the judge,” Dillon said. No examining trials have been held yet, but a visiting judge who formerly presided in courts in Bosque, Comanche and Hamilton counties has been approved to hear about 17 examining trials in coming weeks. Beyer said he has watched a three-hour video of the May 17 shootout captured by cameras at Twin Peaks. He declined comment about the video because of a court order that prevents its dissemination, he said. He said he has seen no video shot by police dashboard cameras. He said some of those arrested have been given their cellphones back and they all were returned “scrubbed like factory resets,” or with data wiped out. He said McRee, a motorcycle mechanic, told him he was on the patio sipping iced tea and eating a burger when the shooting began. McRee was only a few feet away from a fellow Cossack when a member of opposing biker group Bandidos shot his friend in the head, Beyer said. McRee scrambled to help pull people from the parking lot over into the patio area and out of the line of fire, Beyer said. He was crawling to try to help a biker who had been shot in the legs and back when McRee was handcuffed by police, Beyer said.